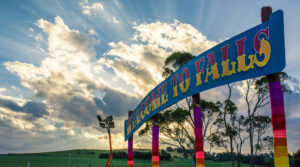 he Falls Music & Arts Festival is held from Dec 29th to Jan 1st each year on a beautiful farm nestled on the Tasmanian east coast near Maria Island and Hell Fire Bluff at Marion Bay. The main arena is formed from a spectacular natural amphitheatre that is big enough to hold the whole crowd. It has a perfect gentle slope so you can relax up the back and still hear and see everything. 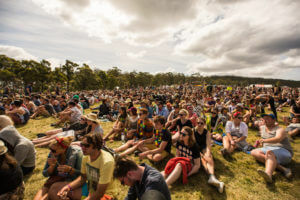 Held annually from the end of December to the beginning of January, the Falls Festival is a jam-packed 3 days of musical artists, performance artists, and comedians. While the 1993 Lorne Falls Festival is the original, the second-in-age-only Marion Bay location debuted in 2003. With action from morning to midnight (and often much later), attendees adore the festival’s location on the Tasman Sea, where they head to the beach to relax.Image thanks to Tourism Tasmania & Catherine Forge. Considering these late nights, organisers give every attendee, whether a 2-day or 3-day ticket holder, a free camping pass. Show up with friends and camp with them too! Flying in and don’t love the idea of stuffing tents into an airplane storage bin? Get a 2-day or 3-day ticket with camping supplies included. Image thanks to Tourism Tasmania & Catherine Forge. 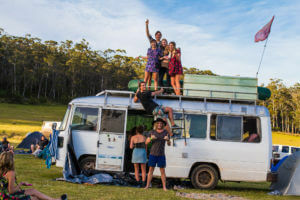 While the festival attracts plenty of young people, there are family exclusive camping areas, face painting, kids’ beauty parlours, playgrounds, and sea views that appeal to all ages, from young to young at heart. If the promise of unforgettable performances isn’t enough to draw you in, the amount of gastronomic options should. 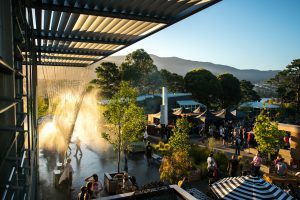 Emphasising sustainably sourced and locally grown foods, the festival has a variety of eats, from classic Australian and Tasmanian to Asian, African, and everything in between. Like every inclusive foodie event, there are plenty of vegetarian, vegan, and gluten-free options. Image thanks to Tourism Tasmania & Catherine Forge. Despite its remote location, festival organisers have worked tirelessly to ease your arrival process. 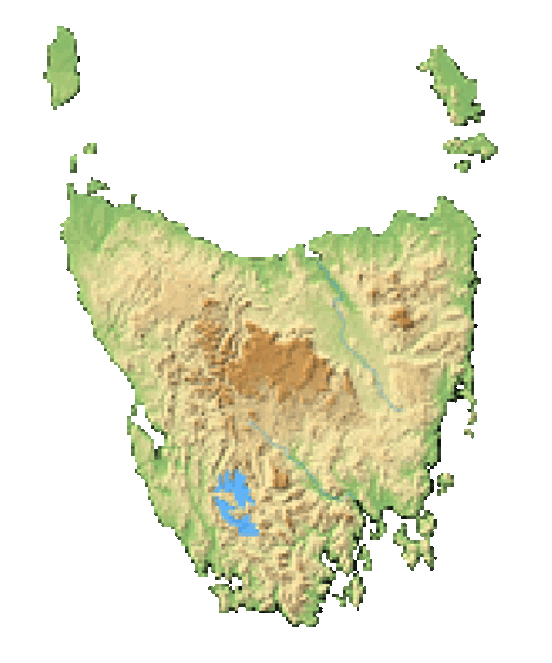 If flying into Tasmania, arrive in either Hobart or Launceston. Take a shuttle bus from the airports directly to the festival site, or opt to rent a car instead. Your car will be parked next to your tent for the duration of the festival. Day parking is also available for people who decide to forego the camping adventure. Luckily there’s only one entrance point to the festival; head to the corner of Marion Bay Road and Burnt Hill Road, go straight, and you’ve nearly arrived. Ferries bring you from mainland Australia to the terminal in Devonport. You can even bring your car over this way! If you’re less of a driver and more of a rider, shuttles will bring you to the festival site as well. Many attendees find themselves entranced by the wild Tasmanian landscapes and choose to spend extra time on the island. Activities near Marion Bay include exploring Hobart, a city ideal for foodies, coffee lovers, and craftbrew fans. Test your courage on a Port Arthur Ghost Tour, visit the MONA Museum, and encounter nature in the Bay of Fires, on Kunanyi/Mt. Wellington, and in Southwest National Park. Alternatively, check out more Tassie seascapes at Macquarie Harbour or the Freycinet Peninsula. Image thanks to Liz Knox. No matter your interest, you’ll find something suited for you at the Falls Festival. And, in the process, discover your new favourite travel destination: Tasmania. Dive into Tassie seascapes at Macquarie Harbour or the Freycinet Peninsula.